privilege | Miracles! Your Center for Well-Being Inc.
Miracles! Your Center for Well-Being Inc.
A little while ago, I experienced a particularly troubling week … one in which my emotions got really ramped up. I don’t tend to get triggered all that easily anymore, but two days in a row, right back to back, I endured distinctly different scenarios that both wreaked havoc with my heart and left me fumbling my way through the fountain of unfavorable feelings that arose in the face of those formidable frustrations. And so … as I often do … I took pen to page to help me find the message that those muddled moments may be holding for me. I remain so deeply discouraged by the inherent powerlessness of marginalization … both feeling it myself during that particularly woeful week and observing it for others – far, far too often. There are some things that are beyond my control. Important things. Or, perhaps it would be fairer to say, things that are important to me. And important to some others …. but, for the most part, they are things that the vast majority doesn’t experience as a problem. And, sadly, unless or until an issue affects people personally, many will not acknowledge, recognize or even give much attention to such things. Perhaps it is truer to say that in our dominant cultural majority, we have the exquisite privilege of not needing to understand the particular problems of those who are unlike us … of those whose issues lie beyond the margins of our own lived experience. And, regrettably, we live in a world where assuming an ‘us’ versus ‘them’ stance is often glamorized as a desirable patriotic position and/or a reflection of our religious devotion. Sadly though, this sets up an ‘either/or‘ mentality rather than a ‘both/and‘ mindset. And as a result, a very well intended desire to take care of our own often means that the issues of others get subjugated and dismissed. Or, even worse … ridiculed. Yes. Ridiculed. We get to be oblivious about the issues that affect them, because the obstacles they may be facing are just not at all apparent upon our own paths. Source Unknown but deeply appreciated. 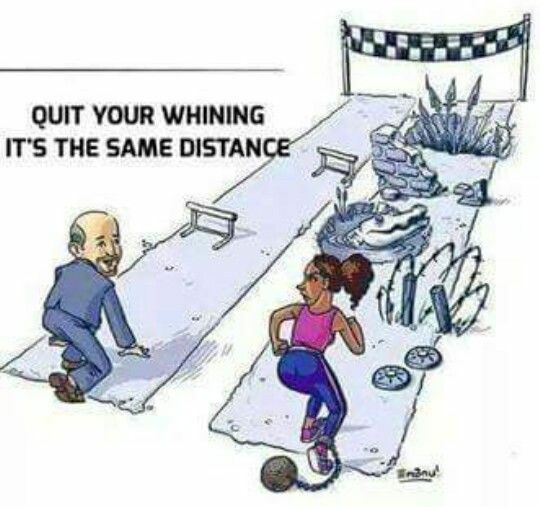 When you are NOT the one being oppressed, you have the luxury of not even noticing the prickles and perils on the path that ‘others’ are experiencing. And, you don’t even know what you don’t know because the ‘others’ are grappling with issues that have never even hit your radar. It’s not that you don’t care. You do care. And you may very earnestly believe in equality … and … you might even think that because things are purported to be equal, that all people have the same rights and opportunities as you do. Some may even think, if they don’t take advantage of the options in front of them, well … that is not my problem. They could get it together, if they just tried or if they were really committed to helping themselves. 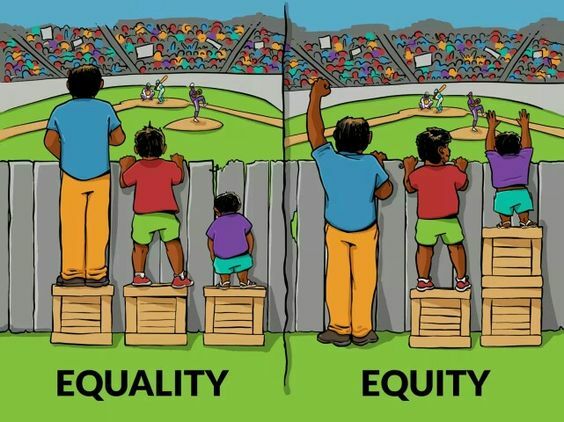 But ‘equal’ does not mean ‘equitable’. And so, those with the most power and advantage can unwittingly continue to step over the unmet needs of others. Not because they are heartless. No. Not at all … but because they really don’t see the problem. And, they honestly don’t. It is simply not an issue that registers in the framework of their experience, and so they have trouble understanding how it could be a problem for others. From where they are looking, they see lots of options that could be accessed … they see solutions that are not being actualized. But, they cannot see how their own alignment with the majority affords them an unfair advantage … a fast track to ‘solutions’ that seem simple and obvious to them, but in reality, are not accessible to all. Many, in fact, will speak about their privileged standpoint as though it were a merit they somehow earned. And yet, there are some places where we get that it is not a matter of choice. We understand that we must collectively seek to disrupt the inequitable disparity among us. Golfers get it. They honor differences and foster equity by offering handicaps in order to level the playing field in terms of skill sets. And somewhere along the way, we realized that the racers on the outside lane on an oval track have further to go, so we stagger the starting line to offset the advantages on the inner lanes. There are many places in the arena of athletics when/where we do acknowledge inequities and seek to rectify them. But, it’s entirely exasperating to attempt to address a social issue with people on the inner lanes that don’t see the problem for those on the outside lanes. Even those with ample power to changes things, may feel no sense of responsibility to rectify the issues others are be facing. Arghhhh. And so, with that recognition, it is so tempting to simply give up … to allow myself to be silenced … to succumb in weary resignation and benignly accept the mainstream majority’s perceptions of what is ‘right’ for this world and/or adopt their narrowed notions about which minorities might deservedly merit some accommodations … and … which do not. But … to do so … would leave my life un-lived. To do so, would leave my days un-inhabited by the very things that steal my heart and kindle my inner flame. To fail to show up for the ‘truths’ in my own soul would be to suffocate my spirit. And, I sense deeply that this is no way for me to fully embrace my days. 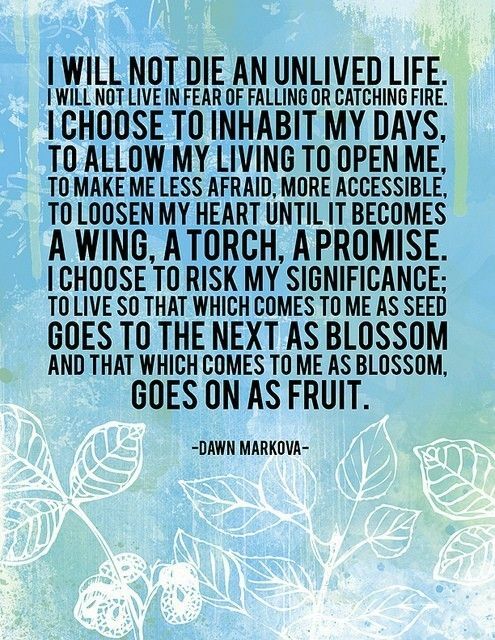 As Dawn Markova points out: I must risk the falling … I must risk catching fire … I must allow my living to crack me wide open. I must pursue my own particular passions and plant the seeds … in hopes of enjoying the blossoms … and … trusting in the fruits of my efforts, even if I never get to taste them myself. I remember my red-faced recognition of my own complicity in the marginalization of others. I was taking a class in social work. I remember learning things I did not know. I remember questioning why these important things were not taught to us in our mainstream curriculum. I remember wanting to hide. I remember wanting to blame others. I remember my sense of shame … and … I remember ultimately recognizing that if I was not part of the solution, than I was part of the problem … by default. And so, with a tremble and a tear, I make this pledge to myself. I humbly choose to risk my significance. I cannot comfortably inhabit the polarized dualism of us versus them. I cannot keep my gaze reduced to my own lane. I cannot step over the injurious conjecture or contemptuous confabulations coming from those who don’t see or erroneously dismiss the complexities of an issue … even though I have an understanding of some of the fears that perpetuate the problem. 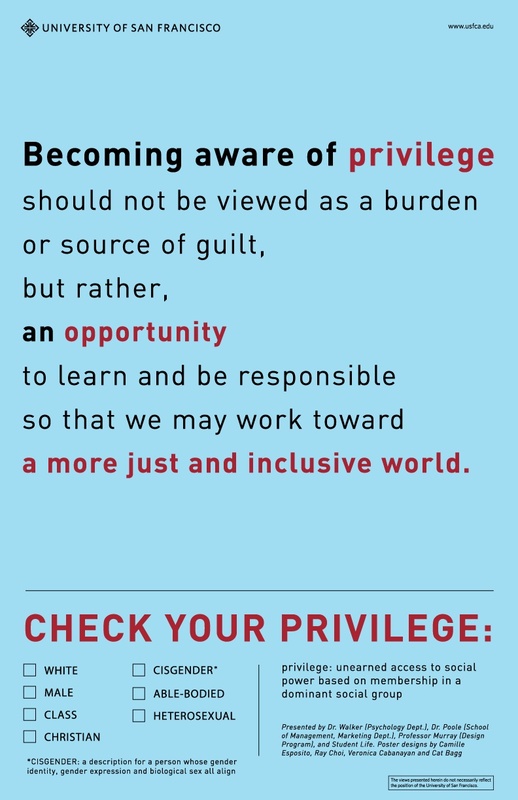 I do recognize that we may personally pay a price when we make room for ‘others.’ And, I realize that when you are accustomed to living with privilege, a movement towards inclusion and equity can feel threatening … it can even seem like reverse oppression. I get that. I just can’t continue to condone it with my silence. So, I do expect some push back. But I am also sensing that many in the mainstream majority will want to meet me on the margins. Many will want to gain a better understanding of what it is that we have not lived … so we might learn what it is that we don’t yet know. Ultimately, for me, I am realizing that I have to keep stretching myself because it just doesn’t feel right for me to continue to dwell silently in those privileged spaces …without further investigation about who is paying the price for my comforts …and/or … who does not have access to the same. P.S. I believe that talking about power and privilege is not about imposing guilt on the mainstream. It is not about blaming and shaming any of us. From where I am looking it is more like talking about air. Please click here if you are interested in that conversation. Please note that WordPress.com may place advertisements on my blog sites. The presence of these ads does not constitute my endorsement of the information, services, or products found in them. PRIVILEGE can be defined as the unearned access to social POWER based upon membership in a dominant social group. In my opinion, talking about social POWER is like talking about AIR. We all know it is there and we all use it, but we have the luxury of ignoring/denying its critical significance until we are somehow deprived of it. It’s somewhat insidious because although the element itself is not visually perceptible, the substantive effects of its relative presence or absence are highly tangible. Without it, the personal distress becomes grave and quite palpable. For this reason, I think it is incumbent upon all of humanity (but particularly those of us who work in the human service disciplines) to be highly diligent in seeking out and acknowledging areas in peoples lives where, metaphorically speaking, the air is thin. I believe an integral part of that inquiry involves us becoming aware of the covert ways in which we, as professionals (from our oxygen rich standpoint in the mainstream majority) can unwittingly suffocate ‘others’ … or … view their shallow breathing as personal deficiency needing individual remediation rather than seeing their lack of oxygen as a reflection of a collective issue requiring systemic respiration. When I check the list … I can see that I dwell in a very privileged space. I can’t check all the boxes, but nonetheless … I enjoy a whole schwack of benefits and social power that I didn’t actually earn. I can breathe pretty darn easily in this culture. And so, in the presence of that knowledge, I have a choice. I can use the power inherent in my social standpoint and professional position to disrupt any impediments to universal and equitable access to air … or … I can allow myself to be richly oxygenated by my privilege and assume no responsibility for the shallowed breathing of others. And if I choose the latter, I might be tempted to assuage my guilt by blaming the labored breathing on the gasping individual themselves – admonishing them for not inhaling deeply enough … instead of faulting a biased ventilation system that privileges some while it asphyxiates others. In every moment … in every interaction … with every thought, word and deed … I am always making a choice. I am either sharing the oxygen mask I have been gifted or I am saving it for myself. There is no neutral ground here. Whether we like to admit it or not, those of us with the most privilege are responsible for the air quality. Yes. We. Are. Because, we are the only ones holding the power to oxygenate it equitably for all. 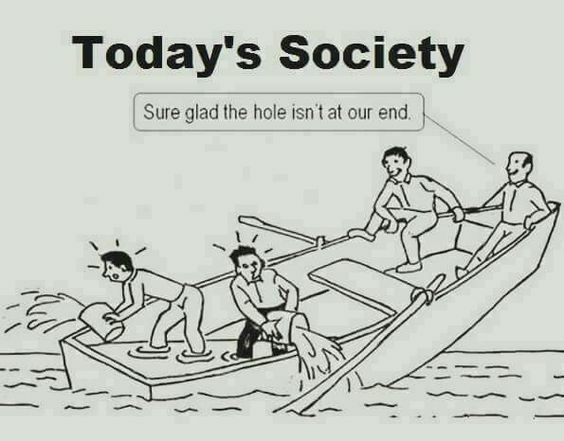 So, each and every one of us has to decide whether we are going to be part of the problem or part of the solution. And, I have learned that I must keep a very close eye on myself … because it is so darned easy to take my power and privilege for granted. 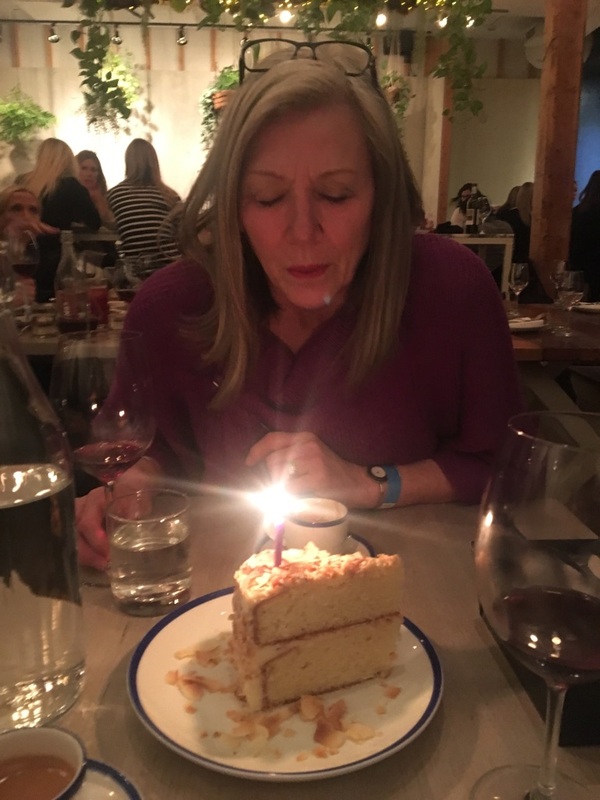 From my oxygen rich place in the dominant social majority, it is easy for me to take a nice deep nourishing inhale … and then obliviously … neglect to notice that so many others are woefully wheezing on the margins of my awareness. Byron Katie talks with Oprah about making peace with challenges like weight loss … and even … the death of a loved one. A Slow Burn … and … The 2016 Christmas Chronicles! Well, I Sure Got Told, Didn’t I … ?!? 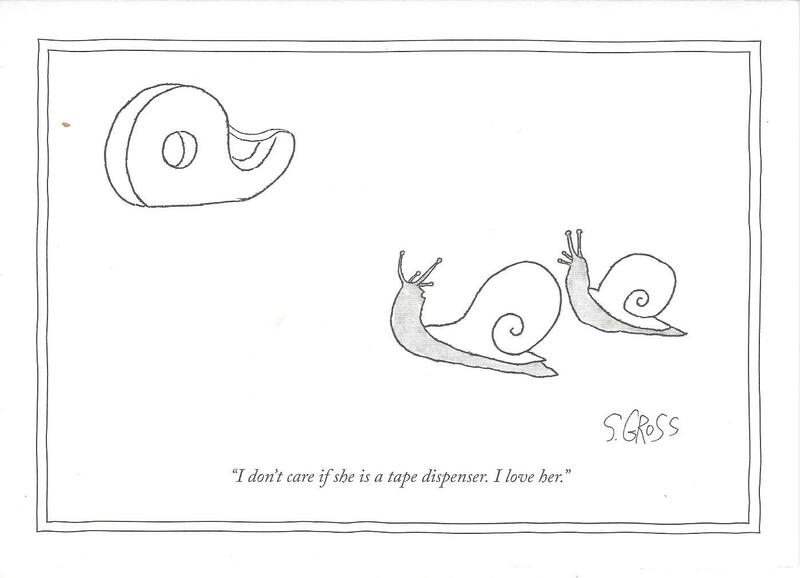 How to Love … Unconditionally. [Guest Post]: Polarized People—Must Disagreeing Result in Disdain and Disgust? What is Addiction … ? Understanding the INFJ in your Life … yep, that would be me. [Guest Post]: i loved this. and then it got even better. And so … I ordered the onions. Better … Because You Were Not the Least Bit NICE! [Guest Blog]: Isn’t She Beautiful … ? She teaches me to love … unconditionally. Breakdown or breakthrough … ? Clucking or Oinking … ? And then … I remembered. Better … Because of You Debbie Ford! Blessings in our challenges …? ?